The Borough of Manheim is in the heart of Lancaster County and is located approximately 8 miles north of Lancaster City. It is bordered on either side by Penn Township and Rapho Township. The Borough is approximately 1.3 square miles in area and has an estimated population of 4,858. 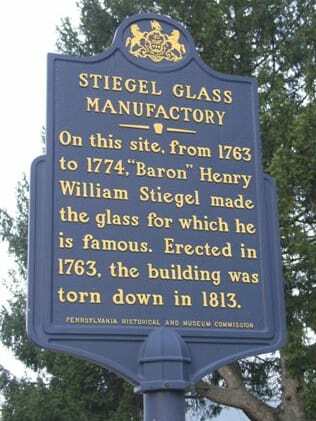 Manheim was laid out by “Baron” Henry William Stiegel in 1762 on a land tract in Rapho Township, Pennsylvania, though it wasn't incorporated as a Borough until 1838. The Borough has a "home town" feel to it and it is quite apparent that many of the residents take great pride in their homes and their community. There is a small downtown area for residents to frequent which is located centrally within the Borough. The Manheim Chamber of Commerce and the Manheim Area Economic Development Corporation work hard to both retain our existing businesses and to attract new ones to the area. The Borough, along with the Manheim Central School District and Lancaster County have adopted a Local Economic Revitalizing Tax Assistance (LERTA) program which includes the entire Borough. This program offers tax incentives for improvements that are made to properties. According to recent census estimates, median family income is approximately $47,000. The median age is 39, with 65% in the labor force. The average home is valued at $150,000 and approximately 33% of the housing stock consists of rental units. 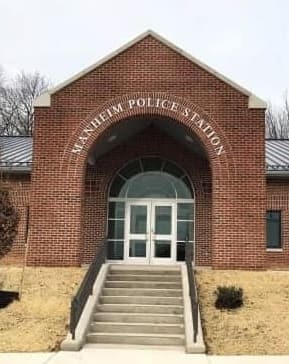 The mission of the Manheim Borough Police Department is to provide the highest quality law enforcement services possible while maintaining safety and security to our citizens. To accomplish our mission we will adhere to the values of professionalism, integrity, respect, responsiveness, and leadership. We strive to deter crime while being proactive in our enforcement of State and Local laws impartially. We have dedicated ourselves to working in partnership with the citizens of Manheim Borough / Rapho Township, the legislators, prosecutors, judges and other law enforcement agencies. We do this with the highest standard of conduct while on duty and in our private lives. We are committed to preserving the quality of life, property and individual rights guaranteed by the Constitution of the United States. We will continue to be a knowledgeable and well-trained police force that evolves and grows through continuing education and our partnerships with the people we serve. On January 9, 1812, the Manheim Fire Department was organized and Articles of Association were formulated. Thus, the first fire company was organized 26 years before Manheim was incorporated as a Borough on April 16, 1838. At this meeting, a small hand engine was purchased from the Union Fire Company of Lancaster, Pa., which in turn had been imported from England in 1754. The inscription "January 9, 1812, Manheim, Pa., Hope No. 1" was placed on this new piece of fire fighting equipment. This piece had been on loan for over fifty years to the Hershey Museum in Hershey, PA., until 1997, when it was returned to Manheim. It is now on display in the firehouse in our museum. This engine was equipped with leather hose in 1812. In 1836, Manheim Fire Company, No. 2 was organized, and another hand engine was purchased. By August 1836, an engine house was built on Market Square, sufficiently large enough to house both of the engines. The two companies became known as the "Active" and the "Union" fire companies. It was decided by the Borough Council that the "Active" Company should have the part of the engine house which opens towards Prussian Street, and the "Union" Company the part which opens.